We consistently hear from the guests of our trips that they would like to learn more about our animals and how to pack. 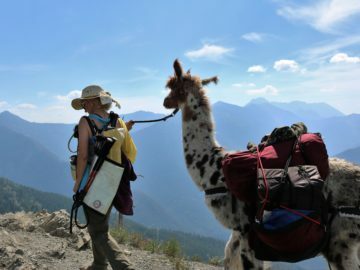 As a result, Swan Mountain Llama Trekking has designed a very unique and perhaps one-of-a-kind llama packing & trekking clinic. Unlike most of our trips, where our llama guides essentially pack our llamas and go, this special llama excursion emphasizes training our guests on the ins and outs of llama packing and trekking. We will cover a wide array of topics including: history of llamas; behavior of llamas; training llamas-basics for the purpose of packing; llama packing equipment; llama packing dos and don’ts; planning llama treks; safety and first aid on llama treks; llama catching, trailering, storage and feed, and; resources for the do-it-yourself llama trekker. Guests will arrive at Swan Mountain Ranch at 8:30 am and will be learning/packing/trekking all day in and around the ranch and surrounding Flathead National Forest. Lunch is included, (you’ll be packing it on the llamas), and we’ll wrap things up by 4:00pm. 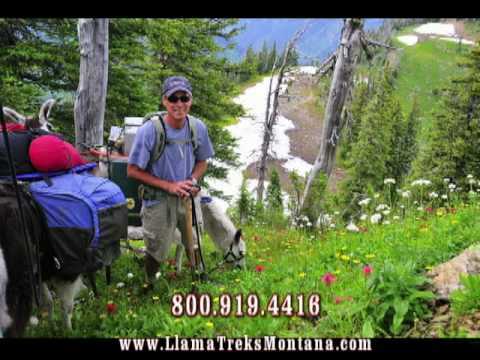 Find out why Swan Mountain Llama Trekking is your best choice for llama packing and trekking clinics!